Founded in May of 2002, Mono Chrome consists of Clint Sand of cut.rate.box and SYNNACK and Victoria Lloyd of Claire Voyant and HMB. Both artists have brought their strong musical backgrounds and have created a danceable, yet dark electronic sound. Victoria Lloyd's vocals add a unique flavor: smooth over the sharp layers of electronic sound. Victoria Lloyd's passionate vocals and intimate lyrics have gained her recognition through her band Claire Voyant and her side-project with Daniel Meyer (of Haujobb fame), HMB. Her vocal presence in Mono Chrome adds a seductive and powerful female presence to electronic dance music. Clint Sand has established a following from his other band cut.rate.box, which has remixed material by Depeche Mode, Assemblage 23, Clan of Xymox, Haujobb, Beborn Beton, Cleen, Claire Voyant, Stromkern, and God Module. Mono Chrome's work is said to cross the boundaries of genre, incorporating styles ranging from industrial EBM to trip hop into their music. Several of the band's songs have been featured on compilation CDs, such as Cryotank Vol 1, Diva X Machina Vol 4, and Cryonica Tanz Vol 3. Several of their demo tracks have found there way onto into clubs and radio stations around the globe. Take the best of what modern Dance/Trance music has to offer, get rid of the clone scene stereotypes with Barbie-like candy coating, replace that with emotion and a kickin' Industrial edge and you'll get a good idea of what Mono Chrome is all about. 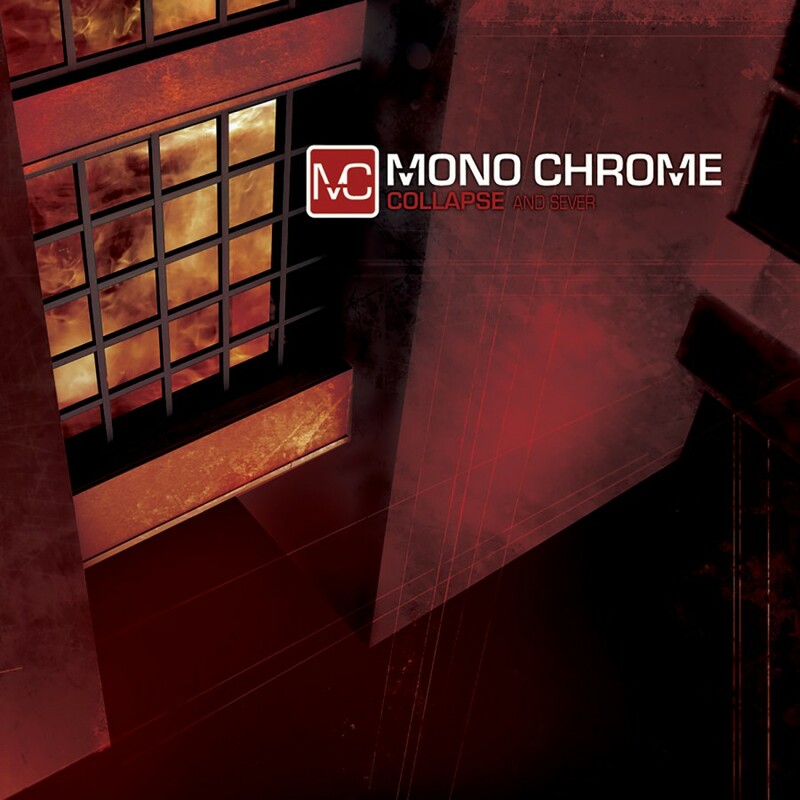  - Side-Line Magazine (www.side-line.com) Metropolis Records is proud to have released Mono Chrome's debut album Collapse and Sever in North America on August 10th 2004.